In case you haven’t seen it yet, Scott “ToyGuru” Neitlich has once again posted a short video to show off some features on upcoming action figures. He answers questions about how the arm attachments will work on MOTU Classics Spikor and shows how the interchangeable legs work on Ghostbusters Dana. Maybe someone can clear this up for me. Is Dana articulated at all? When she was shown to us at Toy Fair, I was under the impression that when she has her “normal” legs on, she would still have some articulation. I figured at least the head and arms still moved, and I likened this interchangeable legs feature to the most recent Slave Leia figure that Hasbro put out. I loved that figure, so thought it was cool Mattel was handling Dana the same way. However, I’ve seen a lot of people upset, saying Dana is more of a statue than a figure. So maybe I was wrong about the articulation? As far as Spikor goes, I love the way they handled his trident. And I think it’s extra cool that the attachments use the same plug in as Trap Jaw, Roboto, and Hurricane Hordak. Definitely not something that was necessary, but col to see it included. May the 4th be with you! Win a 16GB Darth Maul USB Flash Drive from Mimobot! Pixel-Dan.com has partnered with Mimobot for this exclusive giveaway! We are giving away an exclusive Hooded Darth Maul 16GB Designer USB Flash Drive! This May the 4th Exclusive is limited to only 504 pieces…and one can be yours! Starting today through Sunday, May 6th post a comment on this post. Be sure to use the phrase “May the Fourth be with you” somewhere in your comment. All entries will be tossed into a hat and one winner will be drawn at random to win the exclusive Darth Maul Mimobot! Only one entry per person will be counted. Winner will be announced on Monday! Contest begins now! May the 4th be with you all! Have a Happy Star Wars Day from Mimoco this May the 4th! If you like free stuff, you should be sure to come back to Pixel-Dan.com on Friday, May 4th.Yep…it’s giveaway time! Mattel has sent me yet another teaser image to share with you all. 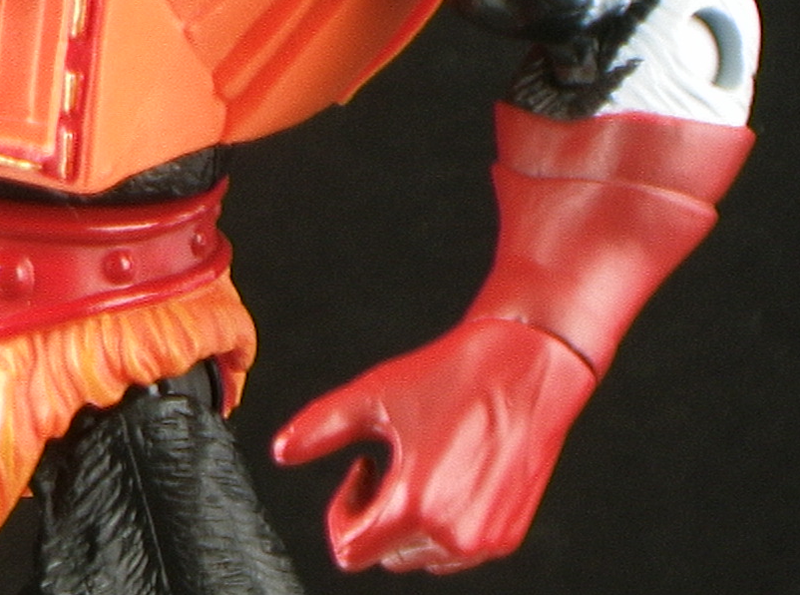 This time it’s this tiny little image of a portion of Mosquitor’s thigh. 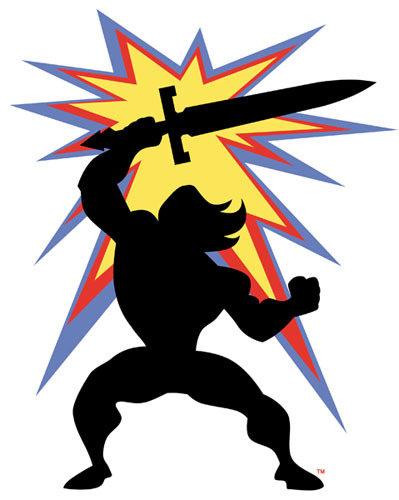 I am told that it was the idea of Cornboy from Four Horsemen Design that I am teased with tiny pictures like this leading up to the big reveal. If they are trying to kill me with anticipation, I think it’s working. This is pure torture! But, I am still on Cloud 9 knowing that my all-time favorite character will be coming to Masters of the Universe Classics this year! 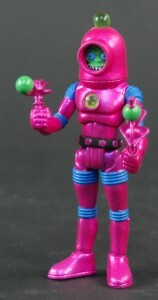 New Outer Space Men Pre-Orders from Four Horsemen Design begin tomorrow night! The Four Horsemen have just announced that pre-orders for two new sets of OSM figures will begin on the evening of May 3, 2012! Click through for full details! I’m sure many of you have seen this by now, but I wanted to share it anyway just in case. Scott “Toyguru” Neitlich put up a quick video to show off the funcionality of the upcoming SDCC Vykron. We also get a look at the packaging as well. And look, Spikor!